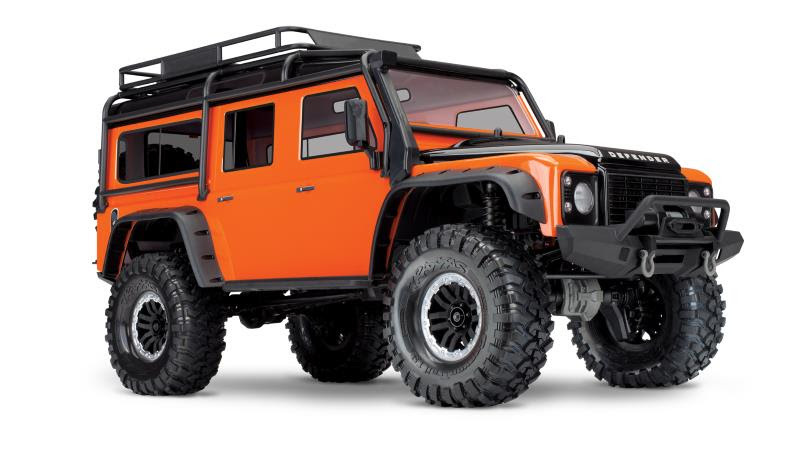 Hand painted two-tone orange/black body color matching the original Land Rover Adventure Edition released in 2015. 110yr logo on the driver’s side of the body. The TRX-4 Scale and Trail Crawler is equipped right out of the box with Traxxas’ game-changing portal axle set. Portal axles lift the truck at the wheels for huge center pumpkin ground clearance. In order to achieve the same clearance with straight axles (and not get stuck), your tires would have to be over an inch taller than the TRX-4′s tires. Straddling boulders with ease, the TRX-4 chassis definitely takes the path less traveled and simply leaves all the others behind.